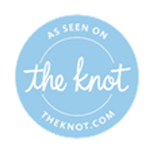 On The Knot: The Cathedral Room was such a wonderful place to have the reception. It was beautiful and perfect! We got married at Heinz Chapel and we were able to have our guests use their parking lot so they would only have to walk one block! If I could give more stars, I would. Thanks Stacie!